Links on Head for Points pay us an affiliate commission. A list of our partners is here. Qatar Airways is currently offering a £1295 business class fare from Stockholm to Singapore. It is widely available for much of 2019 at SEK 14,700. On some dates I saw it as low as SEK 14,308. Whilst positioning via Sweden isn’t ideal – although a quick break in Stockholm is always worth doing – this fare has a lot going for it. You will earn 560 British Airways Executive Club tier points from the trip (140 points per leg, with the plane change in Doha meaning each direction counts as two legs), a lot of Avios and you’ll get to fly arguably the best business class product out there – potentially the impressive Qsuite (see the special website here) if you take A350 service. There is also a Stockholm to Bangkok fare for around £1,375 but Bangkok tends to be relatively cheap from most places these days. This one is, of course, good for the tier points. Gothenburg to Johannesburg at around £1,450 is also interesting, although the London to Johannesburg BA Club World fare at £1,250 return is still available as long as two travel. You can have a play with dates on the Qatar Airways website here. It seems that Emirates Skywards has decided to follow the lead of Etihad Guest and remove free chauffeur cars on Business and First Class reward flights. This is disappointing, as it helped offset the ludicrously high (even by British Airways standards) ‘taxes and charges’ added to Emirates award tickets. We have used Emirates chauffeur cars on reward tickets a few times, and coming back from Heathrow it was a £60-£70 saving over booking an equivalent Mercedes for cash. 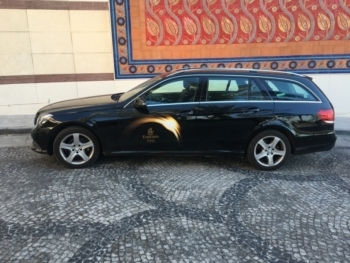 The car pictured below is the one I got before my last Emirates A380 First Class redemption reviewed here. The change is showing on the chauffeur drive terms and conditions page here. 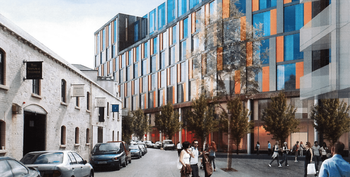 Aloft Dublin City finally opening? After numerous delays, it seems that Marriott’s new Aloft Dublin City hotel is finally about to open. Marriott is well positioned in Dublin’s luxury segment with The Shelbourne and the Westin – the latter is a lovely hotel with an amazing location in the heart of the city centre and is my default choice when visiting. Marriott never had anything at the budget end of the market, however. I am positive about Aloft hotels (here is my review of the Aloft London Excel, here is Anika’s review of Aloft Liverpool) which are generally modern and stylish despite the low cost. This one will be Category 4 which makes it 25,000 points per night. This compares to 60,000 points for the Westin and The Shelbourne. Whilst reservations are not yet being accepted for January, the hotel is saying ‘January 2019’ opening (it was due in November 2018). Reservations are being taken for 1st March onwards. The Aloft Dublin City website is here. 'Miles and points' for the solo traveller - should you have a different collection strategy? Click here to join the 13,000 people on our email list and receive the latest Avios, miles and points news by 6am. We help business and leisure travellers maximise their Avios, frequent flyer miles and hotel loyalty points. Visit every day for three new articles or sign up for our FREE emails via this page or the box to your right. Cheers Rob. Just booked ARN-SIN return for £1,282.80 via AmEx Travel, and stacked it with my “Spend £1,000 and get £400 rebate! offer. So 560 TPs for £882.80 is not bad at all, and just over a third of the way back to Gold. Now to go and book another round on using the wife’s same travel offer! Please click here to read our data protection policy before submitting your comment. Welcome! If you are new to the site, I recommend reading our latest news stories, our 'Beginners' page and my list of favourite older articles. Earn up to QUADRUPLE Avios with Accor – up to 10 Avios per €1 spent! Our luxury hotel booking partnership offers you GUARANTEED extra benefits compared with booking direct. Works with Four Seasons, Mandarin Oriental, Peninsula and more. Click here for details. Receive every new article in your inbox by 6am to read on your commute - and it's FREE! What is the best Avios credit card? Which Virgin Atlantic credit card is best for you? What are the best credit card bonuses for LONG TERM spending? Which loyalty credit cards are worth keeping just for their benefits? What is the best Visa or Mastercard for earning miles and points? What is the best use of Amex Membership Rewards points? 160 BA Executive Club questions answered! Get 5,000 to 15,000 FREE Virgin Atlantic miles! What is an Avios point worth? Some adblockers stop articles on Head for Points from displaying properly. If some words or pictures appear to be missing when you read, you will need to whitelist the site to fix the problem. Thank you.